Medical assistants in Wyoming can expect employment growth of more than 20 percent from 2012 to 2022, according to Projections Central. This growth is probably due in part to a March 2016 law signed into effect enabling the accessibility of direct primary care agreements for more people, but the state also made CNN Money's 2016 Top-10 places to retire list due in part to the quality of healthcare available in the state. Accessibility to and quality of healthcare make Wyoming a promising place to work in the allied health fields, including medical assisting. Learn what it takes to be a medical assistant in Wyoming, what certifications are available and detailed earning information. Students who are looking to begin a career as a medical assistant may benefit from earning a degree in medical assisting. Medical assisting is a growing field in need of trained professionals, which is why schools are developing programs to teach students the administrative and clinical skills employers are looking for. But the question remains: which school should a student pick? We’ve made this step easy by putting together a list of the best programs offered in Wyoming, basing our findings on a school’s cost, success rate, and available student resources. 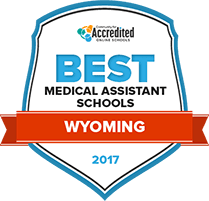 Check out below for our list of the best medical assisting programs in Wyoming for 2017. The certified medical assistant program at Northwest College is a career gateway that is delivered to students in a hybrid format. The program lasts 15 weeks and blends on-campus classes and lab sessions with distance learning in the online format. The program, which is delivered through the Center for Training and Development, offers program participants access to the same resources that are available to all other students at the college. This includes academic advising, career development services, tutoring, library services, research tools, study groups, computer access, tech support and counseling. There are also a variety of clubs and organizations students can join. Wyoming has a few options when it comes to medical assisting programs. Most programs are available through community colleges, while online hybrid programs are also available. Below are two schools to help you start your search. How does Wyoming define "medical assistant"? In Wyoming, a medical assistant is defined as "a person who does not hold a license to provide health care services issued under title 33 of the Wyoming Statutes, and is authorized and supervised by a Wyoming-licensed physician to provide health care services under limited delegation by the physician." Certification is not required in Wyoming. However, according to the Bureau of Labor Statistics, employers may be more comfortable hiring medical assistants who've earned certification, because it can help show a certain level of competency. In addition, some employers are concerned about liability, and thus will hire only the most credentialed or experienced personnel. Given that, it might be best for medical assistants in Wyoming to obtain certification prior to seeking employment. Certification can be earned through four national certifying agencies. The medical assistant certifications are listed below, alongside the agencies that offer them. Wyoming does not set forth rules for medical assistants, including training or education. However, in order to become certified, medical assistants must complete an approved medical assisting program. These programs culminate in an associate degree or diploma, and most prepare students to sit for one of the four certifying examinations. Are there tasks outside the scope of medical assistants in Wyoming? There has been controversy in recent years concerning what can be delegated to medical assistants. Though there is no clear-cut rule concerning what physicians can delegate, the basic rule of thumb is that the medical assistant cannot handle anything that legally requires a license. For instance, a medical assistant cannot write prescriptions. For many years the nursing community in Wyoming pushed the idea that nurses could only delegate to other nurses, not to medical assistants. However, this misconception has been challenged and found to be incorrect. Nurses can delegate tasks to medical assistants under the same rule of thumb that applies to physician delegation. Medical assistants in Wyoming can enjoy a median wage that is on a par with, if not slightly more, than the national average. The following chart breaks down a wage comparison. Medical assistants might make more (or less) depending upon the area of the state in which they work. For instance, someone who works in Casper might make more than someone who works in Cheyenne. For a detailed listing, check out the chart below. Most healthcare professions expect to see growing employment in the coming years, and medical assistants are no exception. In Wyoming, there will be an average of 30 new openings each year for those who choose to move into the medical assisting field. 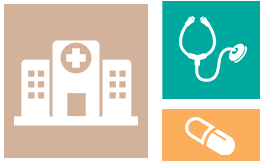 This site details all the rules and regulations for those who practice medicine, as well as information on delegation to certain unlicensed personnel. A statement released by the Wyoming State Board of Nursing explaining the ability for nurses to delegate certain medical tasks to medical assistants. Chapter 9 of Wyoming's Board of Nursing Rules and Regulations discusses tasks that can be delegated to other healthcare personnel.